The Committee considered and adopted the minutes of 20 September; 11, 25, 26 October; 1 November 2018. Members debated whether the minutes of 20 September 2018 were a true reflection of what transpired at that meeting. Some members said there was an omission as the minutes did not capture the discussion on appointment of the service provider who prepared the report on the written submissions. A matter arising from the minutes was whether the Committee was going to receive a briefing on the report about the written submissions. 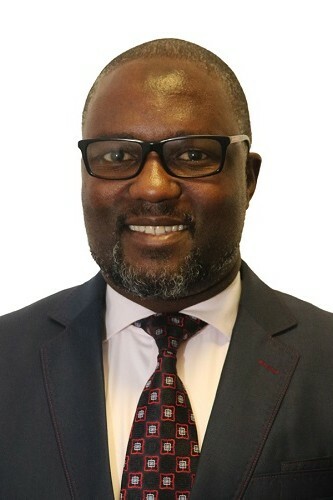 The NCOP Co-Chairperson ruled that during the meeting of 20 September 2018 the Committee did not want to get involved in the procurement process and had referred committee members to their party chief whips. The Committee has the report which carries the details and that there is no need for a presentation as members can read the report. The minutes of 20 September 2018 were voted on with ten in favour and three against. It was noted that the Committee had agreed to submit party submissions by 7 November 2018 but only ANC and EFF submissions had been received. The other parties requested more time and it was resolved to extend until 4pm on 12 November 2018. The Committee will discuss party submissions on 13 and 14 November 2018 with the goal of adopting the Committee Report by 15 November 2018. The Committee went through the minutes of 20 September 2018. Dr A Lotriet (DA) said the minutes read that the Chairperson informed the meeting that Parliament should take ownership of the process and prepare a presentation on the written submissions. There was an omission as the minutes did not reflect the discussion on the manner the service provider was appointed. 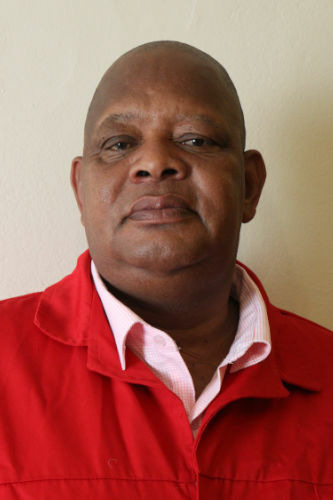 Co-Chairperson Nzimande stated that he remembered the Committee did not want to get involved in the procurement process and that he had referred members to their party chief whips. The Committee did not want to interfere with the procurement and that the matter was handled by the Speaker and an explanation given. Dr Lotriet stated that the transcripts and videos for all the meetings should be made available since there is a discrepancy with what her notes read and what the PMG minutes provide. Mr V Smith (ANC) said that from a committee point of view the Committee should adopt the minutes. Obtaining the transcripts should be the responsibility of the individual. 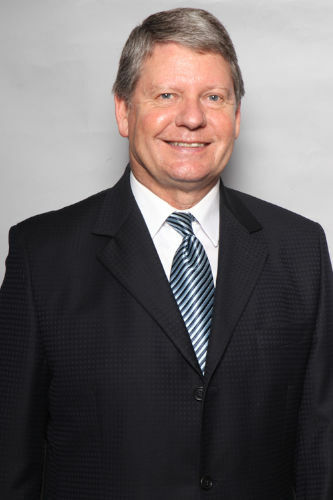 Mr S Swart (ACDP) said that there is a dispute on what was said and the recording could help. Ms T Mokwele (EFF) stated that the record can be used as reference of what transpired and that the Chairperson has a right to make a ruling on a disputed matter. The Chairperson had made a ruling and members need to move on to the next item. Co-Chairperson Maila asked if there are any matters arising. Mr Swart referred to the sentence that stated that after the September adjournment, Parliament was to prepare a report on the written submissions. He asked when the Committee was going to receive that. Ms Mokwele said members cannot discuss that matter because it formed part of the Committee Report. Co-Chairperson Maila clarified that Mr Swart asked when the Committee will receive the presentation. Mr M Filtane (UDM) commented that the Committee Report was tabled the previous week and that page 13 deals with the contentious matter about the written submissions. He agreed with the Chairperson Nzimande that the matter has been complied with. Dr C Mulder (FF+) asked if the Chairperson wanted to amend the Constitution especially the Bill of Rights. He stated that the Chairperson has made many procedural mistakes. Members had not received a report on the written submissions. Members were working to adopt minutes of a meeting that happened two months ago. He asked if the tapes for the meeting are available. Members all know what happened that day, the consultants were to give a presentation but the Committee did not table the report. It asked the consultants to go back and do the job again. Co-Chairperson Maila asked Dr Mulder to address the report on the written submissions. Dr Mulder replied that members have not received the report. He was aware of three submissions from the Institute of Race Relations written to the Committee, which had not been replied to. He wants to know how many written submissions there were and which ones were accepted. The Committee wants to discuss a report yet members never looked at the submissions. The submissions were addressed to Parliament and he wanted to know where that report is. Adv G Breytenbach (DA) agreed with Dr Mulder. What is happening is an important process and the Committee cannot afford to make any mistakes. Section 77 of the Constitution provides that the Bill of Rights is the cornerstone of South Africa and that the Committee needs to understand the implications. Procedural error will attract a setting aside resulting in waste of time and money - noting the people who came to address the committee in the public hearings. Members had received no report on the written submissions. The report referred to by the Chairperson is no report at all. It does not remotely deal with the written submissions, it refers to 400 submissions yet there are 700 000 submissions. She reiterated that the Committee needs to engage meaningfully with the written submissions. Ms D Carter (COPE) noted that page 3 of the 20 September 2018 minutes deals with the written submissions. She asked how the Committee could have received the report when the section reads that Parliament needs extra resources including an IT system to enable it upload the emails. Members need to get the 400 000 emails. The report which was rejected by the Committee talks about excel spreadsheets yet members have not received the spreadsheets with the comments and summaries. Ms Mokwele added that she was present in the meeting Ms Breytenbach and Ms Carter were referring to. In that meeting, members were not happy with the service provider report. Members said Parliament must take responsibility and that is why in the following meeting Dr Twala came to present on the written and oral submissions. Members must not delay in terms of process. She suggested that the Committee agrees to the minutes and move on to the next item. Co-Chairperson Maila noted that the Committee is dealing with matters arising. Either members agree that the Committee should receive a presentation on the written submissions or in the alternative, since members have the report at hand, there is no need to have a presentation on the written submissions. Mr Filtane noted that Dr Mulder had cited the submissions from the Institute of Race Relations. He reminded the Committee that members were encouraged to go to 3rd floor at 90 Plein Street and get what is relevant from the submissions stored there. He took the initiative and went there and he has in his hand the submissions from the Institute of Race Relations. He asked members to quote the rule believed to have been flouted and tell the Committee how the issue is to be dealt with. Mr T Motlashuping (ANC, North West) noted that the Committee is discussing the authenticity of the minutes. Members have not yet adopted the minutes. Procedurally members should adopt the minutes and thereafter discuss the matters arising after the minutes. Co-Chairperson Maila asked whether there was anybody moving for adoption. Mr M Buthelezi (IFP) stated that the Committee was becoming very technical. Minutes are adopted on the basis of being correct. He was present at the meeting on 20 September 2018 but his name was not recorded. He reminded members that during the meeting, when members resolved not to listen to the presentation, he was opposed since he wanted the Committee to listen first before dismissing the presentation. The reason the Committee refused to listen was because it did not believe in the company undertaking the work. Some members said that the presentation was by a data collection company which was not fit to do that work. Mr Chabangu proposed that the minutes be adopted with amendments. Dr Mulder raised a point of order saying that where there is a mistake one should point out the mistake. He referred members to page 4 and stated that the minutes do not reflect that the presenters were not allowed to present. Co-Chairperson Maila proposed that the Committee should check the attendance of members. He requested someone else to move for the adoption of the minutes. Ms Mothapo moved that the minutes be adopted with amendments. Mr L Mpumlwana (ANC) seconded the adoption subject to the corrections. Co-Chairperson Maila stated that members can now look at the matters arising. Mr M Mhlanga (ANC, Mpumalanga) said that the Chairperson should have asked who is opposing the adoption of the minutes. Co-Chairperson Maila asked Members who have the right to vote in this Committee, how many were in support of the adoption. Ms Carter raised a point of order on members who are allowed to vote and not allowed to vote. She proposed that the Chairperson speaks to the Chief Whip of his party because there was a recommendation from the Chief Whips Forum to the Speaker which stated that this is not a normal matter and that everyone should be given representation. Extended Public Committees (EPCs) were never told they have no right to vote and they were made to believe that EPCs have as much rights in the committee. Ms Breytenbach stated that the minutes have been adopted, the process cannot be undone. She asked members to take note that the DA does not support the adoption of the minutes. Mr Filtane stated that is not true. The Chairperson has a right to correct whatever is done. Mr S Mncwabe (NFP) stated that the matter is not finalised and that something wrong happened since Dr Mulder had raised a point of order. Mr Smith agreed. The Committee should hear the point of order then agree or disagree. Members cannot allow individuals to chair the meeting. Co-Chairperson Maila asked members who are in favour of adoption to indicate support by a show of hands. He asked for a show of hands by those members against the adoption. Co-Chairperson Maila confirmed that 10 members were in favour and three members, who are committee members, were against. Ms Carter stated that she has a right to vote since she is there on behalf of another member who was unwell. Ms Mokwele stated that Ms Carter should have mentioned that when giving apologies and should have also provided a sick note. Mr Buthelezi raised his hand to confirm that he is abstaining from voting. Dr Mulder noted that the minutes which have been adopted read that Parliament should supply members with a report on the written submissions. Co-Chairperson Maila stated that members are to indicate whether there is a need to receive the written submissions or not. Co-Chairperson Nzimande added that the report will be given to those members who do not have it. The presentation is there but members still need to read the report. The presentation consolidated the report and Dr Twalo worked on the report. Parliament also conducted quality assurance on the report. The Committee does not have a record of what is wrong with the report other than sentiments. He asked if members need an extra slot for that report alone. He emphasised that members do have the report in their possession. Co-Chairperson Maila asked members to confirm if there is need for a particular slot for a presentation. Ms Mokwele’s earlier statement that Dr Twalo had made a presentation was questioned and when the presentation was made. Co-Chairperson Maila confirmed that no presentation was made. Mr Smith said that there is no need for a presentation.The presentation was to be a building block to the report. What was said by Dr Twalo was included in the report. No one is talking about the oral submissions and the focus is all on the written submissions. He remembered the EFF saying the Committee does not have a feel of what is happening on the ground. He advised that there are those who are bent on slowing down the process and taking the matter to court. He urged other members to go on with the work of the Committee. Mr Buthelezi commented on the quality assurance by Parliament of the service provider. He would have appreciated if the quality assurance report was shared with the rest of members since the report was the basis of members refusing the presentation. Dr Lotriet disagreed that there are members of the Committee fixating on one part and stated that there had been a report on oral submissions. She said it is the first time she heard there was quality control. She still has the original report given by the service provider and requested a presentation on the quality control. Mr N Koornhof (ANC) stated that there was a meeting after the 20 September 2018 in the Marks building. He said members need those minutes too. Mr Mhlanga said that members do not need that presentation on the quality control. Dr Mulder stated that he needed clarity on the presentation and asked if there is a report dealing with the written submissions. Mr Swart referred to page 5 of the minutes on government corruption levels. He asked if the provincial hearings have been annexed to the report. Co-Chairperson Maila replied that the submissions are available and that Mr Swart can contact the secretariat. Mr Filtane added that government corruption levels is an objective statement and will form part of the deliberations. After minor changes, the Committee adopted the minutes. Co-Chairperson Maila replied that what is happening in the meetings translates to the parties engaging. Dr Mulder commented on matters arising and referred to page 3 noting the Committee is yet to receive the report. Co-Chairperson Maila referred members to page 4 on the way forward which stated that the Committee proposed to engage with High Level Panel and the Surveyor General. Mr Mpumlwana confirmed that it is not the decision of the committee. Mr Swart agreed that it was a proposal but not a decision. Ms Carter pointed out that everything argued about by members earlier is captured in the 1 November 2018 minutes about the report by the service provider being rejected. Mr Filtane referred Ms Carter to page 4 of the minutes which replied to the matter. Ms Carter asked when members would receive the 4000 emails. Ms Mokwele stated that Ms Carter chose to read what favours her and if she reads the whole paragraph she will get her answer. Co-Chairperson Maila confirmed that the mistakes in the minutes where it is referring to presentation instead of report will be corrected. Mr Mhlanga supported the amendments. Dr Mulder commented that the presentation was rejected but he does not have the report. Co-Chairperson Maila replied that the documents were sent to Dr Mulder on the wrong email address but that has been corrected and he will get the report. He asked Dr Twalo to clarify. Dr Twalo confirmed that all three reports were submitted to members. She acknowledged that the incorrect email was being used for Dr Mulder. Dr Lotriet differentiated between the original report on the public hearings and the report on the written submissions by the service provider. She had not received a report on the written submissions. Mr Filtane said that members were requested to read the report. Members were also asked to go to Dr Twalo to get the relevant information to enable members to formulate their party submission. Co-Chairperson Maila confirmed that members will be given the report. Dr Mulder pointed out that members were talking about different things. 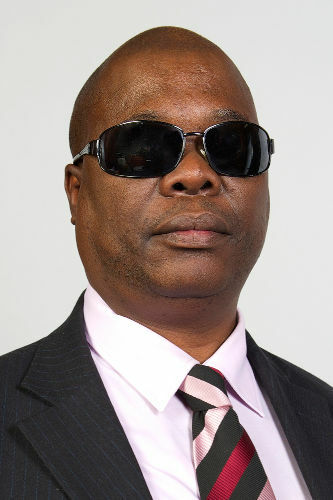 Co-Chairperson Maila confirmed that Dr Twalo has put on record that the report was submitted to members. Members who do not have the reports should consult with the secretariat administration. Dr Twalo clarified that the report by the service provider was given to members; the Committee also asked Dr Twalo’s team to do a report which it did. Co-Chairperson Maila said that members were advised to read the report and formulate recommendations and observations. Only the EFF and ANC had complied and provided observations. He requested other parties to provide submissions. Adv Breytenbach asked when that was agreed to since she could not recall that. Mr Buthelezi replied that it is reflected in the 1 November minutes on the way forward. Dr Mulder pointed out that members received an email the previous day requesting party submissions be handed in by 5pm the previous day. Obviously he will have to give recommendations but he cannot do that because of two things. The Committee has not deliberated on the contents received, all it has done is gather information; nobody knows how many submissions have been received. During the oral submissions members could only ask for clarification but did not deliberate. Mr Filtane had referred to the Institute of Race Relations who wrote to the Committee and submitted 60 000 submissions. The report from the consultant said that those were duplications. The Institute wrote three letters to the Committee. The Institute does not know if those 60 000 submissions are included or excluded. Members also do not have a report on the written submissions. Co-Chairperson Maila asked how Dr Mulder came to know of the contents of the letters since the letters were addressed to the Committee. He confirmed that members agreed in the 1 November 2018 meeting to present the party submissions. Ms Mokwele said that it was agreed to have submissions in by 10am on 7 November and the email sent the previous day was a reminder. Mr Filtane asked that members proceed with the matter on the table. Dr Lotriet (DA) noted that the party submissions were a request but not an agreement. She pointed out that there are outstanding presentations. She asked if members can get the date and details of the additional presentations. Mr Buthelezi (IFP) confirmed that his party will submit a submission and that he has made efforts to contact the administration asking for the presentation. Mr Swart (ACDP) confirmed that in the course of the discussions he will refer to the written submissions. 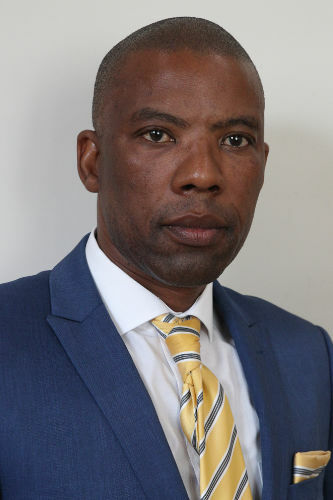 Mr Mncwabe (NFP) apologised for the delay and confirmed that he knows what to say in his party submission and that it may be only one line. Adv Breytenbach (DA) said that her party would like to make a submission when the presentations are complete. Mr Filtane (UDM) confirmed that he is ready to make an oral party submission. Ms Carter (COPE) said that she will look at the report once received and thereafter submit. Mr Mpumlwana asked if members will we be arguing the case for the submissions being presented. Co-Chairperson Nzimande confirmed that the ANC submission has been circulated to other parties. Mr Mpumlwana asked if the Committee will discuss the submissions or do it another time since other parties were asking for extension. Mr G Gardee (EFF) asked if members can agree to a date with no further extension. He asked what the status of the political party submissions will be in the Committee Report. He proposed that the observations of parties can be an addendum for record purposes since the report is to be a Committee Report. Mr Smith suggested that the Committee must work backwards if the Committee wants to adopt a report to be tabled by the end of the month. If the extension sought by parties is allowed, members have to work after hours and agree on a position by 15 November 2018. Mr Motlashuping said that on 1 November 2018 it was agreed that there will be party submissions but submissions have not been availed. He asked what guarantee is there that the submissions will be made. Enough time has been given and members should continue with the process and look at the submissions submitted by the two parties. Co-Chairperson Maila said that the submissions do not have to be written but those with written submissions will be accepted. Co-Chairperson Nzimande said that members are to observe and summarise what the public said and that it is not about party positions. The Committee is answering the question and not debating the ideology, members are responding to the motion. Some parties may have only one thing to say but that is sufficient and members can debate the details in the House. Mr Mpumlwana asked that the extension be granted noting that Mr Smith had suggested some dates. Co-Chairperson Nzimande confirmed that the observations are to populate the report. The legitimate process is on the public submissions. Mr Buthelezi referred to the second proposal by Mr Smith. He received the documents only yesterday and the proposal is progressive since an opportunity is being made available. Co-Chairperson Maila reiterated that whatever is submitted is to enrich the report and members will discuss these and come to a conclusion as committee. Mr Gardee proposed that by 16.00 hours the following day, all members must have made their submission and if there is an objection to this, members should take a vote. Dr Mulder replied to Mr Gardee and pointed out that in some parties, members differ and that the following day by 4pm is difficult. Mr Mncwabe suggested Monday 12 November 2018 and members must remember that during the public hearings the parties were making submissions. This is a critical and serious matter and there have been wars around the issue. Co-Chairperson Maila agreed that the final deadline for observations and recommendations by committee members will be Monday by 4pm. Mr Filtane suggested that they deal with the submissions by the two parties. The minutes should reflect that the DA said it will only come back when the process is completed. Mr Smith reiterated that the discussion of party submissions is postponed on the grounds that the Committee will meet on 13, 14 and 15 November 2018. Mr Swart said that he has no problem provided permission from the presiding officers is given. Co-Chairperson Maila confirmed that 15 November is the day for adoption, the other days will be for deliberations. Co-Chairperson Maila concluded that the meeting will be suspended and proceed on Tuesday, Wednesday, Thursday and Friday the following week. All party submissions must be in by 4pm Monday12 November. Co-Chairperson Nzimande said that the deliberations will be on the oral presentations, the public hearings in the provinces and the report on the written submissions.